Cupcakes inspired by cocktails! Mojito, strawberry daiquiri, Irish car bomb, magarita… There are loads of flavours! For the kids there were vanilla cupcakes in orange paper cups, with a green-and-white buttercream swirl, filled with green jellybeans! For the grownups there were “Irish Car Bomb Cupcakes“! They are Guinness chocolate cupcakes in green foil cups, filled with dark chocolate, whisky-infused ganache, topped with a Baileys buttercream! You won’t get torched on these, but they’re definitely not for kiddies! A soft sponge, lightly flavoured with lime & tequila, with a fresh lime juice & tequila-infused butter cream, and a sprinkling of salt flakes. 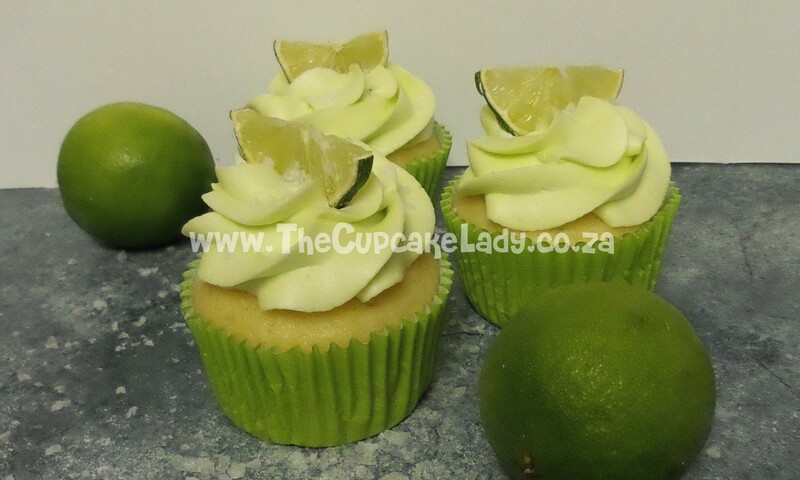 These are decorated with a half-slice of fresh lime. 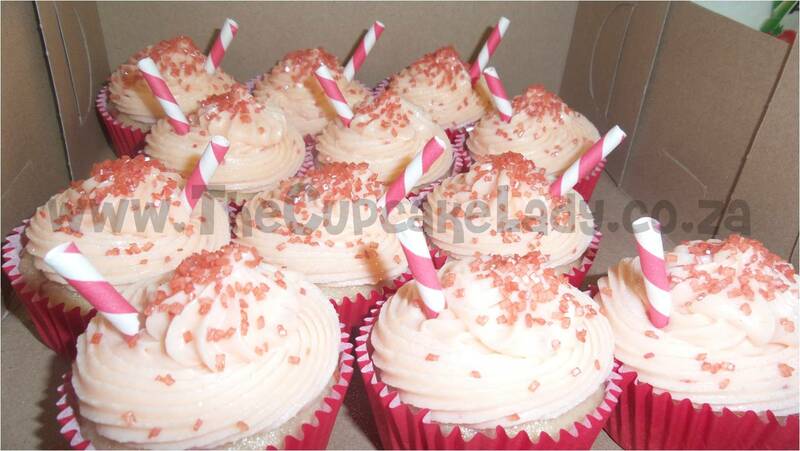 Juanita ordered a delicious assortment for a birthday celebration and came to fetch them from me. 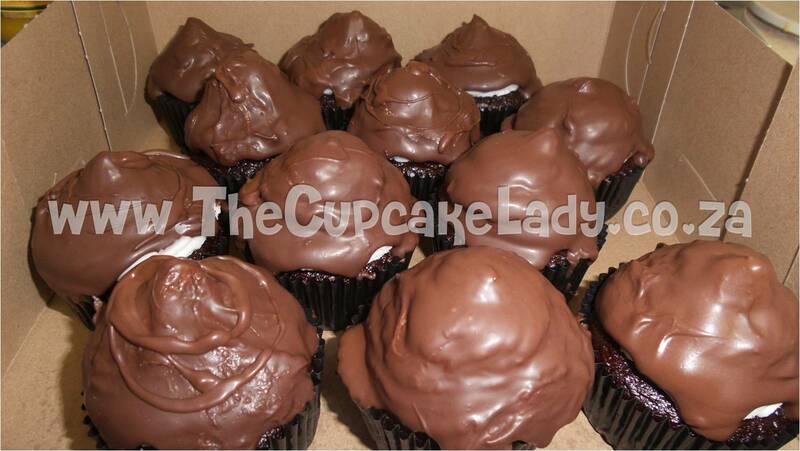 She went home with strawberry daiquiri cupcakes (or cuptails 😀 ), Oreo cupcakes (chocolate cupcakes with Oreos in the bottom and dark chocolate-covered vanilla butter icing) and lemon meringue cupcakes… which I forgot to photograph!